Enter the world of the ancient Aztecs! Retrieve long forgotten wisdom for king Ixtos. But the knowledge is well hidden! Solve incredible puzzles by matching the checkered clay disks and collect arcane letters which will unravel tales of untold secrets. Download this free full version puzzle game and start playing now! Free Game features: - Addictive, challenging puzzle game with hours of gameplay; - Superb visual and sound effects; - Captivating levels with unlimited play; - Free full version game! 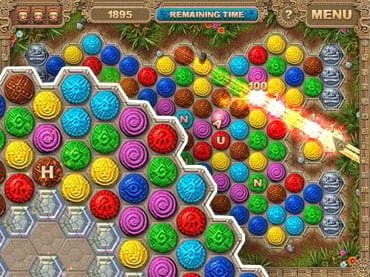 If you have questions about Azteca Puzzle game, please contact us using this form.